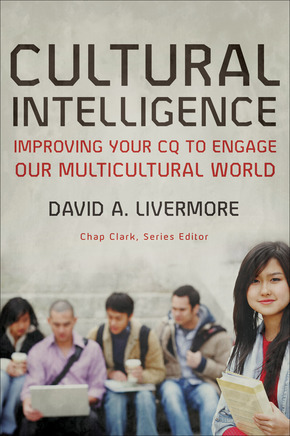 David Livermore’s goal in Cultural Intelligence is to effect cross-cultural transformation, rather than just impart information (12). Across the barriers of difference and “the barrage of cultures around us” (11), we still “have so much in common” (11). As we navigate the tensions of sameness and difference, Livermore notes, “These points of difference are where we find both our greatest challenges and our greatest discoveries” (11). Yet Livermore wants more than just cultural awareness. He says, “We must actually become more multicultural people so that we might better express love cross-culturally” (12). Undergirding all levels of cultural intelligence is Livermore’s call to love, coupled with a robust theology of the Incarnation. I appreciated this theological and practical grounding. He writes, “The language of God is Jesus. The incarnation is the ultimate form of contextualization, the fullest embodiment of cultural intelligence” (33). As a result, Livermore warns those who think the Gospel can only be expressed in “one right way” (34). Jesus himself was a culturally situated figure, and yet a liminal one. The Gospels show Jesus’ interaction with 1st Century Palestine’s institutions and structures, where sometimes he embraced and other times he protested against the cultural values and practices of his day. Even if some readers will find his theological exposition familiar territory, it is nonetheless compelling. CQ (cultural intelligence quotient) goes beyond educating ourselves about culture—even if it must start there. CQ “measures the ability to effectively reach across the chasm of cultural difference in ways that are loving and respectful” (13). An important step toward a fuller expression of love across lines of difference is growth in self-awareness. One must not only learn about other cultural mores and traditions, but one must know one’s own cultural heritage, and how that shapes one’s identity. Livermore divides Cultural Intelligence into four basic types, which constitute the major sections of the book. First, there is Knowledge CQ, which pertains to a basic “level of understanding about culture and culture’s role in shaping behavior and social interactions” (48). This is CQ at the level of cognitive awareness. There are several important kinds of awareness: my awareness of my culture, my awareness of your culture, and my awareness of your perception of my culture (49). Livermore provides some practical metrics to help readers measure their Knowledge CQ: fluency in other languages, awareness of how other cultures resolve conflict, knowledge of cultural differences in how Christianity is expressed, lack of projecting our values onto others’ cultures, and so on (58, 61). Especially helpful is Livermore’s division of culture into three domains: socioethnic culture, organizational culture, and generational culture (93). His description of these domains addresses what would otherwise have been a concern of mine: that “culture” is not just a racial-ethnic phenomenon. I’ve worked at churches where the socioethnic culture and even generational culture were similar, but the organizational culture (“shared personality”) between the two was vastly different. Ministry methodologies and initiatives that worked in one church simply would not fly in the other. To push back, one may find oneself in cross-cultural relationships without deliberately engaging in service, travel, and work. They may exist “at home,” so to speak. Even so, the questions are worth asking. And the emphasis of othering the self that pops up throughout Cultural Intelligence is a needed (if difficult) perspective. Finally, there is Behavioral CQ. This is the on-the-ground evidence that we love the Other. Livermore describes it as “the extent to which we appropriately change our verbal and nonverbal actions when we interact cross-culturally” (233). True CQ leads to action. We will not be able to “accomplish flawless cross-cultural behavior” (240), but we can become more faithful in “reflect[ing] Jesus to the Other through culturally intelligent communication” (241). Cultural Intelligence concludes with a practical “What now?” chapter with “Twenty-four Ways to Advance Your CQ” (242). Then follows a CQ self-assessment, which is a brilliant inclusion. I first took the CQ self-assessment six years ago. I was surprised then to have tested so high (“excellent”) in the last two modes of CQ: Perseverance and Behavioral. Re-taking the test in 2016 I oddly dipped in Perseverance and Behavioral CQ, but went up in my “Cultural Strategic Thinking” (Knowledge and Interpretive CQ). I wonder whether this is because my cross-cultural awareness has grown over the years, while my comfort with my own culture (and my being content with that comfort, to some degree) has led me to make cross-cultural stretching less of a priority. It’s not that I don’t interact with people from different cultures on a regular basis (whether socioethnic, organizational, or generational cultures); it’s just that given the choice I might default to monocultural settings, since they are “easier” (in some senses) to navigate. This is especially true when it comes to workplace and organizational culture. This may be sin I need to repent of—or just a reflection of my plate being over-full already, and the fact that my focus is strained until I graduate from seminary! I found the assessment to be somewhat limited, with its forced choices. Readers will likely note at the beginning of Livermore’s book that the tasks the author sets out could be more difficult for “white” people who think of themselves as people who “have no ethnicity.” The outdated (but still present!) “Ethnic Foods” aisle is instructive here. “Ethnic” is understood all too often in opposition to “non-ethnic,” or “regular,” which then becomes culturally normative. The insidious danger is when this move happens subconsciously. Everyone has ethnicity, and all foods (and churches) are “ethnic.” The question is rather, “Of which ethnicity?” Livermore’s book reads, in some senses, as being geared toward such a person. However, even those who have done more extensive reflection on their own ethnic and cultural identity can benefit from his work. Cultural Intelligence is an excellent primer for anyone seeking to enhance their cross-cultural fluency. Livermore is patient with the reader, but not overly so—he’s not afraid to challenge where needed. His truth-telling and practical step-by-step explanations combine to have a powerful impact. Anyone who gets lost in the various interdisciplinary concerns of the book will have a handy Glossary to refer to. Church leaders, Christians, and concerned citizens alike should carve out the time to not just read but also work through the concepts of the book—maybe even with someone with whom they have cultural differences. You can find the book here at Amazon or here at the publisher’s page. Go here to read a .pdf sample.